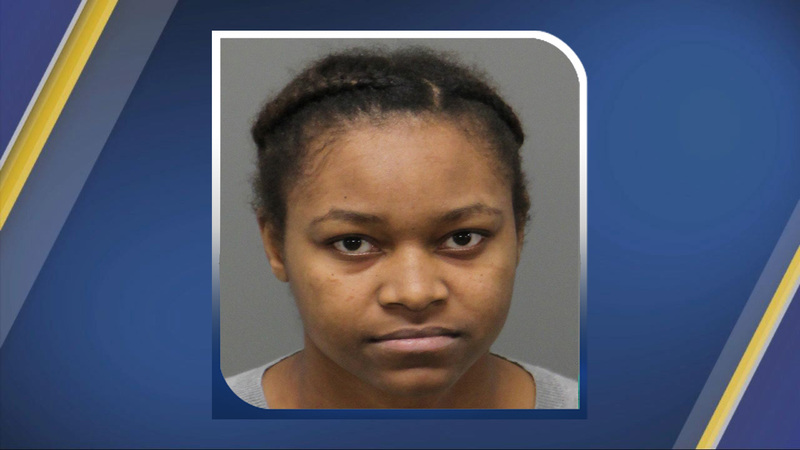 RALEIGH (WTVD) -- Two men and two women have been arrested as part of the investigation into the shooting of a Raleigh police officer Wednesday night. Cedric Kearney, Antonio Fletcher, Sherry Richmond, and Amonie Fletcher are all behind bars while Officer Charles Ainsworth is under a doctor's care at WakeMed. According to police, Officer Ainsworth was shot while investigating a stolen vehicle call around 8:30 p.m. at an apartment complex off Western Boulevard. Officials said Ainsworth and another officer arrived on scene and took 21-year-old Antonio Fletcher into custody. While that was happening, 24-year-old Cedric Kearney started running away and shooting at the officers, hitting Ainsworth, reports state. More officers arrived on scene to help put Ainsworth in a car to take him to the hospital. Kearney was found later hiding in a shed off Wendy Lane. "Since it (shed door) does open this way, if he went inside; he wouldn't really have a good opportunity to get out," Wendy Lane resident Dave Bennett told ABC11. "So our neighbor saw tools coming out of the cracks from his door trying to get this latch open, but since you have to push here, we're guessing he got trapped in there." Kearney was charged with attempted murder, assault of law enforcement officer/police officer with a firearm, robbery with a dangerous weapon, breaking and or entering, and felony larceny. In addition to the charges filed against Kearney, he has also been charged with assault on a law enforcement officer with a firearm on Officer B.A. Halpin, who was with Officer C.D. Ainsworth. After shooting Officer Ainsworth, Kearney fired at Officer Halpin, who returned fire but did not strike anyone. Fletcher was charged with possession of a stolen firearm, which was stolen prior to the shooting. Prosecutors said in court that Sherry Richmond and Amonie Fletcher were inside a nearby apartment when Ainsworth was shot. However, the prosecutors did link the women to the shooting investigation by saying they were involved in a previous robbery in Holly Springs. Prosecutors believe that robbery is the reason Ainsworth was called to investigate the suspicious vehicle Wednesday night. At 2 p.m. Thursday, Kearney had his first court appearance. The judge read off all Kearney's charges, appointed him a public defender, and set his next court date for Jan. 31. Antonio Fletcher was scheduled for his first court appearance Thursday, but he had a medical issue and had to be taken to the hospital. He is due back in court Friday. Amonie Fletcher appeared in court via video arraignment. She was given a $50,000 bond and ordered not to have contact with Richmond or Kearney. The judge did not force her to avoid contact with Antonio Fletcher because they are believed to be siblings. Sherry Richmond appeared in court via video arraignment and received a court-appointed attorney for her next court date, which was set for Jan. 31. Richmond is charged with robbery with a dangerous weapon, conspiracy to commit robbery, resisting arrest, breaking and or entering, and felony larceny. According to arrest warrants, Kearney and Richmond stole $16,000 worth of goods -- including a vehicle -- prior to the shooting. It's unclear whether that vehicle is the one Ainsworth was investigating when he was shot.